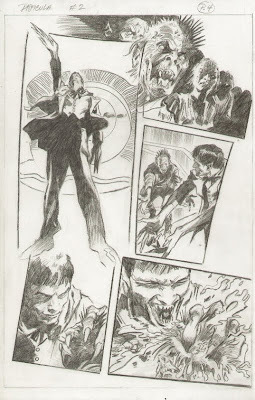 As promised earlier, I’ve been given exclusive access to both Clifford Meth and Gene Colan. I’ll be conducting interviews with both men with the view of dispelling a lot of the rumour and innuendo that is current circulating around Gene and his current situation. The most important aspect of this whole situation is Gene and his ongoing recovery. To that end I urge everyone to visit the blog that has been set up to auction donated items and Gene’s own art, with the view of raising money to assist Gene and his future. If you’re an artist then I also suggest that you just dig into your own files and donate a piece of art, or several. Every little bit helps, and all, and I mean ALL, of the money goes directly to Gene. You can bank on that. To start with I asked Clifford Meth, the public face of the auctions and Gene’s official spokesperson, a series of questions about Gene and his own involvement in the current situation. If you want the truth then read on. DANIEL BEST: First things first, exactly what happened to Gene? CLIFFORD METH: First, Daniel, I want to thank you for taking the time for this. Many reporters and bloggers have attempted to contact Gene through me but the time wasn’t right, and now that things are settling down, we don’t want to overburden Gene with calls from many strangers. He’s been through quite an ordeal, and it’s not over. He and I agreed that something should be said, though. I know I’ve been cryptic until now, and I’m afraid there will still be unanswered questions. But you’re someone that Gene and I agree will take this seriously and not abbreviate the answers that are provided… On March 31, Gene’s shoulder was broken and he was taken to the hospital where he has been ever since. Outside of a change of hospital, he’s pretty much been in the same spot for nearly a month now. DB: How did you become involved? 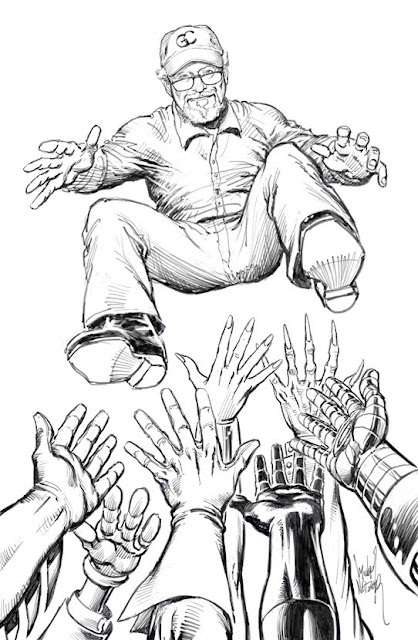 CM: Gene and I have been friends for many years and I represented him to Marvel when he was ready to retire. We speak frequently. On April 8, both Gene and his son phoned me from a hospital in New York. 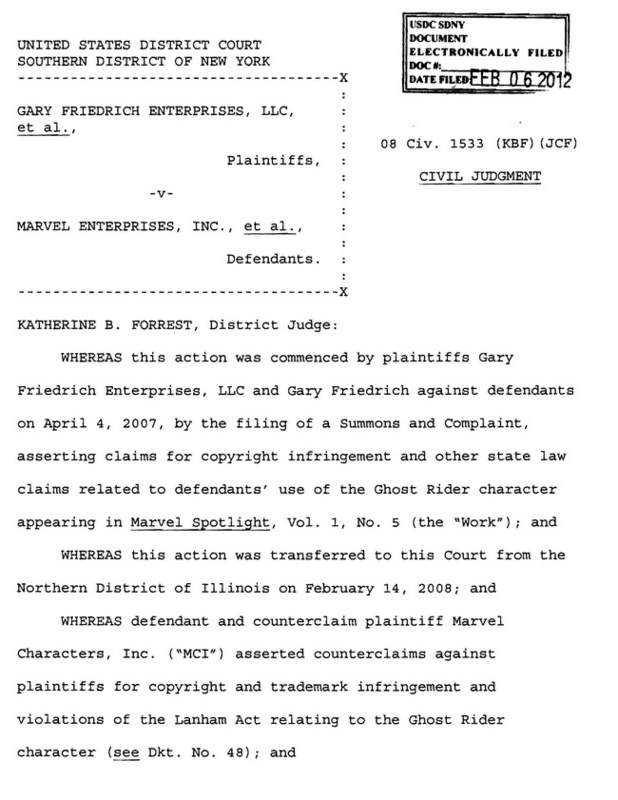 There were some complicated family issues so I understand why it took a while before I was called… I was also contacted—as was Harlan Ellison, Walter Simonson, Mark Evanier and likely anyone who seemed like they were anyone—by a man claiming to be Gene’s personal friend of many years. He had gotten his hands on Gene’s phonebook and phoned many of us “anonymously” but said he was doing so on Gene’s behalf. Walter and Mark have saved tapes of these phone messages. DB: What is your understanding of the nature of Gene’s injuries? CM: I believe it’s a fracture. His right arm is in a sling. DB: What is the outlook for Gene? CM: He receives physical therapy every day and reports that he’s seeing progress. In Gene’s opinion, everything will be fine—he’ll draw again, and soon, and better than ever, and live happily ever after. Tom Palmer and I were discussing this amazing constitution and outlook of Gene’s just the other night. We both agreed that we’ve never met an adult as blameless as Gene. He is an innocent! And a genuinely positive man… But the rest of us are concerned, of course. He will turn 84 in September and was already frail before this occurred. Gene suffers from serious liver problems and has balance issues. He’s been told that, at best, he will rely upon a cane now and will certainly experience shoulder pain for many, many months to come. Joe Sinnott, who suffered a similar injury four years ago, still has pain. Will Gene draw again? I think so. 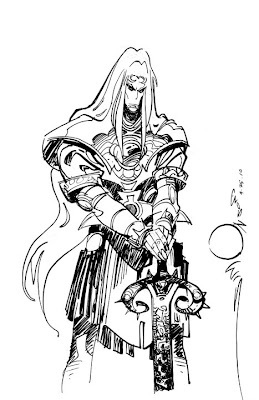 His will to draw is stronger than most people’s will to do anything. DB: Has anyone approached The Hero Initiative? If so, what was the response? CM: I’ve been working with them on Gene’s behalf for more than two years. 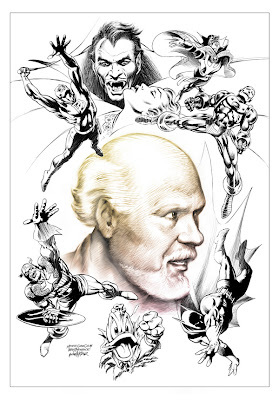 They are, among other things, distributing the book that I did for Marvel on Gene and have been helpful. DB: What are the long-term plans for Gene’s future health wise? CM: This is still being discussed. As a non-family member, I have no access to doctors and only receive second-hand information filtered through Gene and his son. DB: What are the long-term plans for Gene’s future, finance wise? CM: On April 13, at Gene’s request, I met with Gene and his attorney and became involved in his business. I’ve been working with his accountant and attorney ever since to figure out what’s what. I have no immediate answer to this but I’m pursuing licensing opportunities for him and increasing the exposure of his art that’s for sale. DB: Will Gene ever fully recover and return home? DB: Will Gene ever attend another convention, or is it too soon to say never? CM: He sure loves seeing his fans so it would be a shame if he were deprived this. He is tentatively on Aardwolf Publishing’s guest list for its NY City May 26 party at Manitoba’s. I know that he wants to be there but his health will be the determining factor. 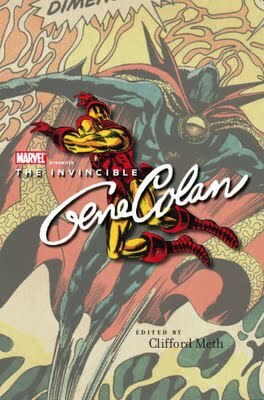 CM: We believe “Gene Colan Art”—the account that Gene and Adrienne used to sell Gene’s art on Ebay—was compromised. Gene’s phonebook had account numbers, passwords… I have been in a rush to make things happen for Gene at the lowest cost with the highest outcome. No Ebay means no time limits, no Ebay fees, no art selling for less than it should sell it for… But there will certainly be later pieces on Ebay. DB: Who has donated items? CM: Rather than say who has delivered on their promises, because some folks are faster than others, let’s just say the following comics pros have promised or delivered valuable help of one fashion or another: Paty Cockrum (with Dave Cockrum art), Mike Deodato, Harlan Ellison, Mark Evanier, Mike Henderson, Joe Jusko, Bob Layton, Stan Lee, Michael Moorcock, Bill Messner-Loebs, Michael Netzer, Tom Palmer, Mike Pascale, Paul Ryan, Joe Rubenstein, Bill Sienkiewicz, Robert Silverberg, Walter Simonson, Marv Wolfman and Kevin Van Hook. I am reasonably sure that others will join us in short time. Dave Sim and I are playing phone tag. 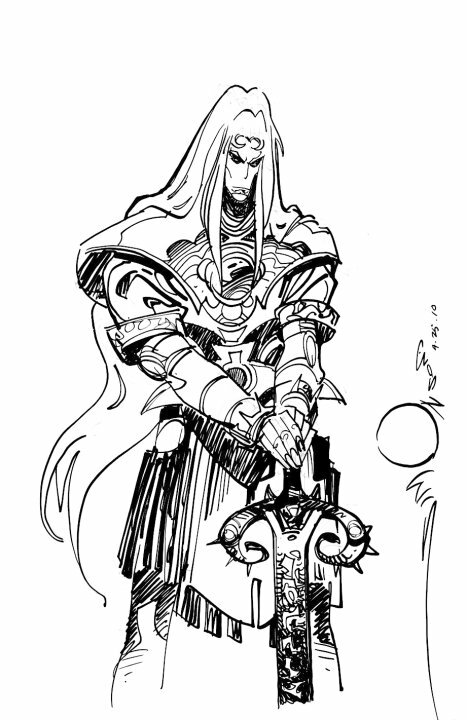 ("Elric of Melniboné. Pen and Ink. 6.5 x 10. 2010. "Mike (Michael Moorcock) and I are donating a copy of the collected paperback edition of Elric: The Making of a Sorcerer to the Gene Colan auction. At present, the book is out of print. I'm not sure when the auction will start but I'll try to notify folks here when that happens. DB: What are some of the specialty items that have been donated? CM: Come visit the blog. The biggest item promised, so far, is from Walter Simonson. DB: How can people donate money without going through the auction route? DB: What else do you need apart from money? CM: I don’t ask people for money. Feels wrong to me. 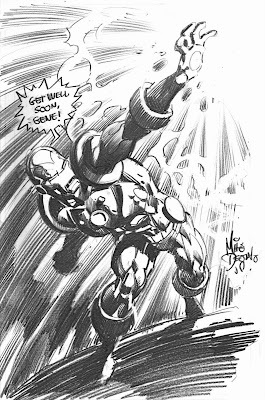 But I think it’s special and appropriate when an artist does a drawing to help a fellow artist. Mike Deodato and Mike Henderson did sensational drawings of Iron Man and Daredevil, respectively, just for the occasion, and the bids were generous. DB: If people want to help, then how do they go about doing so? DB: Where does Gene go from here? CM: Home, I hope. And, for his sake, back to the drawing board. Coming very soon - an exclusive interview with Gene Colan.